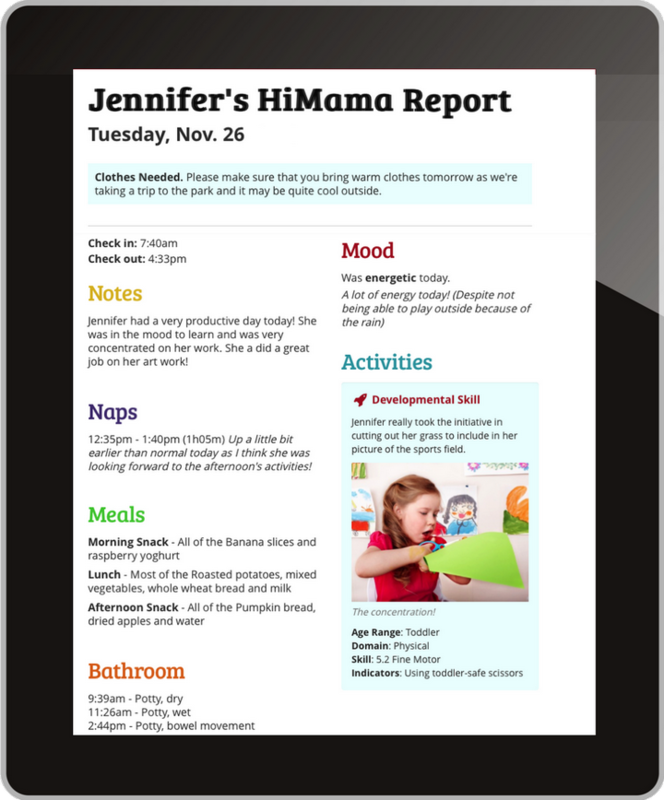 Are you a parent, family member or friend of a child on the HiMama App, or a child care administrator already with our program? Select from the list below to learn how to set up your login. I'm a childhood education administrator whose center is already on board with the HiMama App. I'd like to speak with a sales representative to learn more about HiMama. As a parent, crew member or child care administrator, you will use your email address to log into HiMama. To set up your login, enter your email address below and we will send you an invitation with a link to set your password. Enter the email address that corresponds to emails you have already received from HiMama. We will re-send your invitation to this account. If you'd like to use a different email address for HiMama, first sign up with the email address above. Then update your email by visiting your "User Settings" (found by clicking your name in the upper-right corner). Once your center adds you on HiMama, you'll receive a Welcome email from us with instructions to create your HiMama account. If you've already received a Welcome email, click the link in the email to set up your login! Can't find your Welcome email? Go back, and select option one "I am already receiving emails and/or childcare reports from HiMama". We will send you a new invitation! If you have suddenly stopped receiving emails from us even though your center is still sending reports, it could be due to an email delivery error or accidental spam flag. Please email us at support@himama.com and indicate the email address that is no longer receiving emails. Once we receive your email, we'll get you all cleared up! We certainly don't want you to miss out on adorable moments! However, due to privacy restrictions we cannot add anybody to a child's profile. Please contact the child's parent(s) directly and ask them to add you to the "Crew". Once added to the Crew, you'll receive a Welcome email from us with instructions to sign up and view photos! If you've already received a Welcome email, click "Back" and select the first option to be re-sent an invitation. Please submit your info below. Please contact the child's parent(s) and ask them to add you to the "Crew". Due to privacy restrictions, we cannot add anybody to a child's profile. Once added, you'll receive an email to sign up and view photos! We'd love to show you the magic of HiMama! If you're a Parent - Submit the form below and we will contact your child care center about trying HiMama! If you're a Center Administrator - Click here. How can I change my email address associated with HiMama? First log in with your current email. Then visit "User Settings" (located in the menu on the top-left corner in the app, or under your name in the top-right corner from a browser) and update your email to your preferred address.